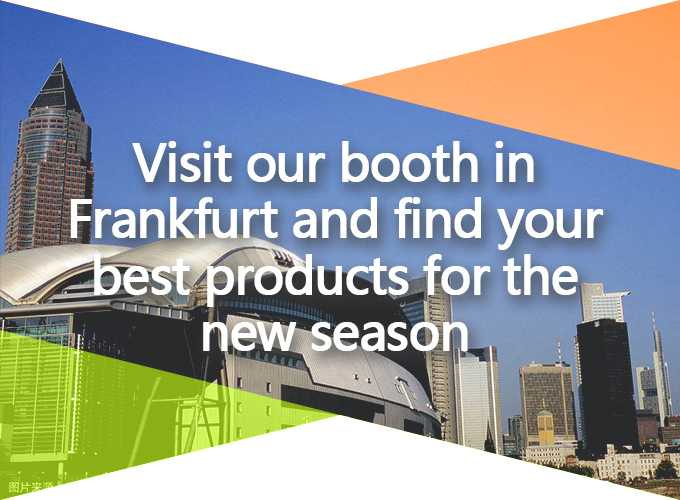 Welcome to Frankfurt and the Ambiente fair! The year has gone fast because we’ve kept moving and creating, designing new products and offering our best sellers to enhance your place in the market. Come to our booth to see the new designs and the classics. Fresh and delicious French press coffee in the morning is one of the best reasons to go to bed at night. But thinking of the money you spend at the local coffee shop can give you nightmares. What’s the solution for the money-wise coffee lover? Your own French press Coffee-2-Go, our portable and safe coffee press. The flavor is protected by the borosilicate glass inside. The glass is protected by the plastic wall outside. Your wallet is protected by an economical yet gourmet solution. Enjoy your own French press Coffee-2-Go, and rest better! Spring is tea time, and the Tea Genius can do everything you need — hot tea in the morning, iced tea in the afternoon, herbal tea at night. 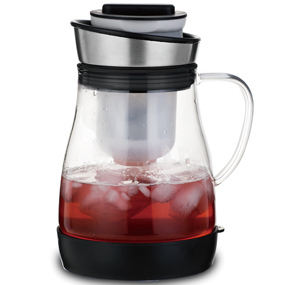 The available stainless-steel warmer will keep the temperature of hot tea just right, and the SmartBase® will keep water away from your table when you make iced drinks. Keep the pot full and the conversation pleasant. Ingenious! 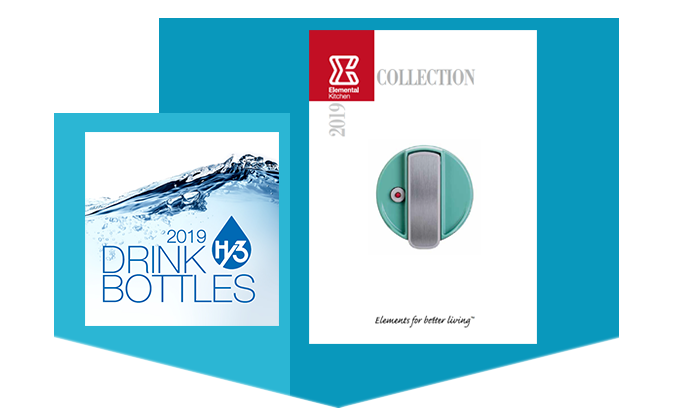 Hy3 is ready to add style and color to your healthy life with new designs and finishes. Our new 3D process creates attractive raised patterns for a unique look and feel, and the double wall SS construction keeps your drink hot or cold and protects your hand. All the standard lids are available to fit your taste and needs. Also, the new Grab-n-Go bottles made from BPA-free Tritan® plastic are a slightly smaller size with a inset grip area for quick convenience. The silicone ring feels great in your hands and is perfect for school, work, or the gym. You’ll have plenty to see and talk about at our booth. And you’ll find many ways to enhance your product line and serve your clients in 2019. See you soon! The New Dimensions SS from Hy3 is not your typical stainless steel bottle. Our new 3D process creates attractive raised patterns for a unique look and feel. The double wall SS construction keeps your drink hot or cold and protects your hand . 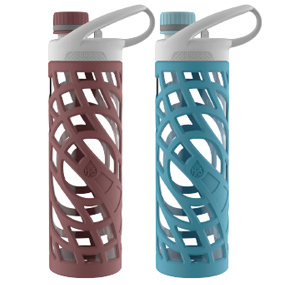 New Dimensions SS bottles have two available patterns to give you a fun choice for healthy and stylish hydration. 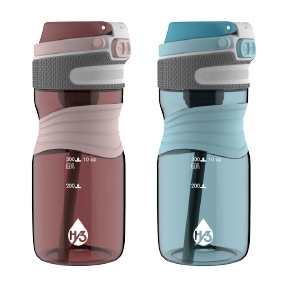 Plus, the New Dimensions SS bottles are available with all the standard Hy3 lids. The New Dimensions SS from Hy3 is not your typical stainless steel bottle. Our new 3D process creates attractive raised patterns for a unique look and feel. 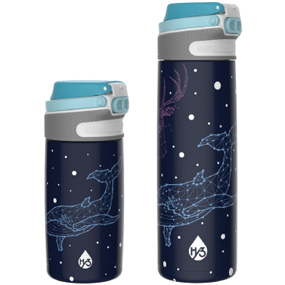 The double wall SS construction keeps your drink hot or cold and protects your hand. 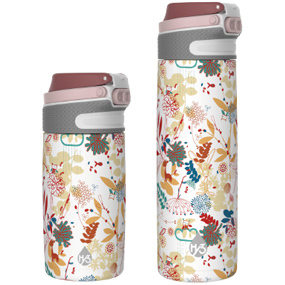 New Dimensions SS bottles have two available patterns to give you a fun choice for healthy and stylish hydration. Plus, the New Dimensions SS bottles are available with all the standard Hy3 lids. The smaller size (450ml/15oz.) and narrower grip area of the Grab-n-Go makes our newest Tritan® bottles perfect for school, work, or a quick workout. The stylish silicone ring around the middle feels great in your hands and assures you of a safe and stable grip. Plus the Grab-n-Go Tritan® bottles are available with all the standard Hy3 lids and colors. Take a break! Open the lid and fold it back - the FLARE keeps it there. The Hy3 FLARE SOFT GRIP is silicone enclosed quality glass, so you can hydrate in comfort. It feels great in your hand and looks good on your desk. • Your choice of hot or cold tea, instantly. • Two-part brewing cup give the desired flavor. • Unique non-drip SmartBase® keeps your table dry. •Delicious French-press coffee on the go. • Simple operation to make your favorite brew. 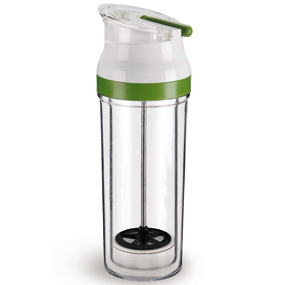 • Borosilicate glass inside protects coffee flavor. • Plastic outer wall for safety and insulation. Tea is best served two ways: elegantly and warm. Our TEA FOR TWO is elegant. The borosilicate glass is delicate and beautifully shaped, with all the pieces designed to complement each other. 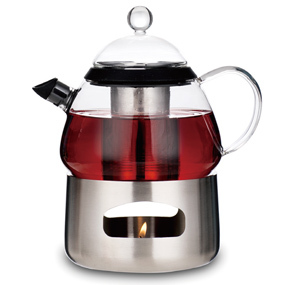 The teapot includes a nondrip spout that keeps drips at bay. Two matching condiment jars hold your sugars and milk. Always stylish, the stainless steel warmer and saucers add a modern feel. Use a small tea candle to keep tea warm enough for a long conversation. Simple, quick, multi-use -- EVERYDAY is great for home, commute, or in the office. The strainer in the lid means you can make a quick fruit infusion drink, or you can attach a stainless-steel filter screen. 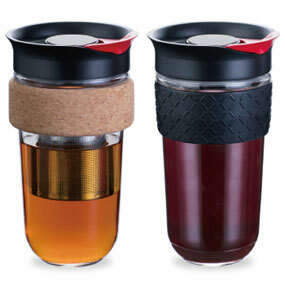 The large rubber grip / natural cork lets you enjoy a hot drink in comfort. A quick flip opens the lid, and a snap seals the opening.